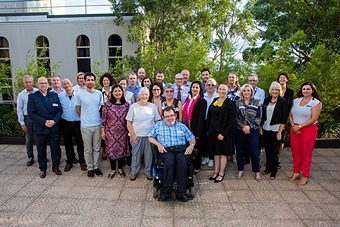 On 29th February, Ernst & Young presented the Baseline Needs Assessment to the 24 combined members of Sydney North Health Network’s clinical and community councils and the SNHN Board. The purpose of this presentation to the joint councils was to deliver preliminary findings, suggest content for inclusion in the final needs assessment, encourage discussion and advise of any data interpretation. The Sydney North Health Network’s population health team continues to identify a variety of data sources and engage with stakeholders to complete the findings of Sydney north’s needs assessment which is due for submission on 30th March 2016. The outcome of this needs assessment will inform the next health commissioning stage to meet local primary healthcare needs. In addition, SNHN is undertaking a needs assessment process around mental health and alcohol and other drugs which will inform future commissioning services in these areas. To take part in this needs assessment survey around mental health and AOD as a health professional CLICK HERE.